We aim to provide high quality care to all women during pregnancy, ensuring that we assist them to have the best outcomes possible. Learn more about what to do when you think you may be pregnant at HealthInfo. LMC Obstetrician/Midwife partnership and GP. You may change your LMC at any stage of your pregnancy or after your baby is born. Jean Todd Maternity Unit at Timaru Hospital provides primary and secondary care to families across South Canterbury. Husbands and partners are able to be with their wife/partner during labour and birth. At all other times husbands/partners (or other support persons) are not able to stay in the unit overnight. The Whanau room on Level 3 by the cafeteria may be available by arrangement with the Duty Nurse Manager. The unit is staffed by midwives who provide 24/7 midwifery care. When labour occurs prior to 34 weeks we transfer care to the nearest tertiary hospital, usually Christchurch Womens Hospital. Midwifery care provided in the unit includes women admitted antenatally, during labour or post natally. We offer obstetric services for women who require specialist care. Medical staff - when the mother has a pre-existing medical condition. 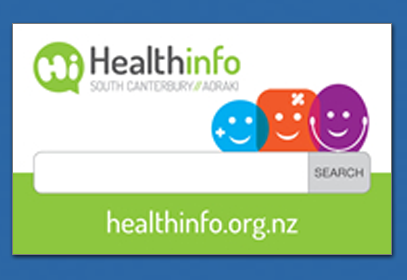 We work with a number of services outside the South Canterbury DHB including Arowhenua Whanau Services, Plunket, Public Health Nurses, Women's Refuge and GPs. We have a number of initiatives committed to ensuring we provide the highest quality maternal care for the people of South Canterbury. A national quality and safety programme for maternity services, including maternity standards and clinical indicators. Revised Maternity Referral Guidelines, which set out processes for transfers of clinical responsibility for care including in an emergency. Standardised, electronic maternity information management to improve communication and sharing of health information among health practitioners. Improved maternity information systems and analysis, so there is better reporting and monitoring of maternity services. See the 'quick links' on the right-hand navigation menu to view our 'Maternity Quality and Safety Programme Annual Report' that sets out how SCDHB performs against the maternity standards and clinical indicators. For information about or to register for pregnancy and parenting education classes, please contact the Jean Todd Maternity Unit receptionist on 03 687 2140.